I’ve written, researched and edited a number of research reports, whitepapers and ebooks for InternetRetailing and eDelivery.net since taking on a freelance research editor role in March 2013. These reports involve surveys and interviews with retailers on a range of subjects for standalone digital and print supplements. During this process I manage the full editorial relationship with the sponsor or partner involved until sign-off. SecondaryMarkets – whitepaper looking at the use of the secondary market for retailers dealing with returns and excess stock. Published in June 2018. 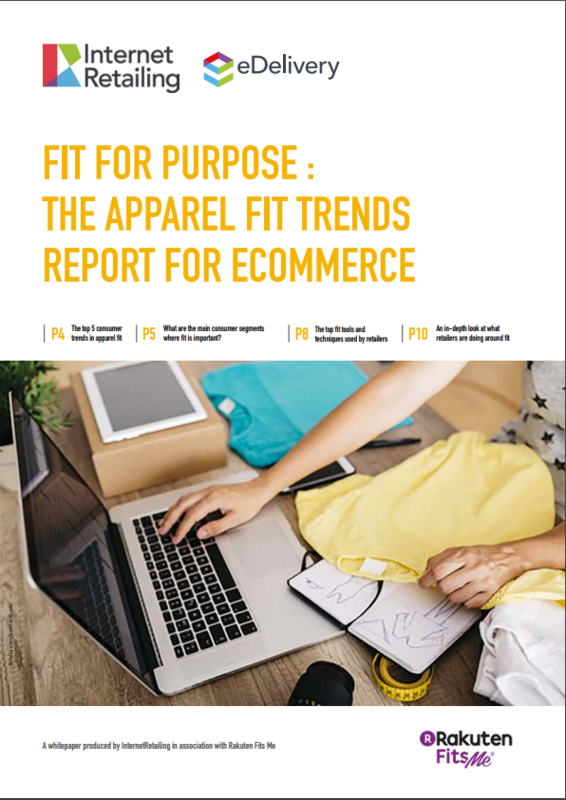 Apparel Fit Trends Report – a whitepaper looking at size and fit and how retailers are increasingly using size data to reduce returns and improve customer satisfaction and published in June 2018. Warehouse Automation and Software Systems– an ebook on how to manage automation and published in June 2018. Winning at Warehousing Book 1 – Efficiency – the first of a three-part series published in conjunction with Snapfulfil looking at efficiency in the warehouse. Published in March 2018. The 5 retail KPIs that will allow you to grow – a whitepaper looking at the main KPIs retailers should be monitoring for growth. Published in August 2017. Shaping your business to take advantage of fit – a whitepaper exploring what retailers are doing around fit and featuring the likes of Henri Llyod, House of Fraser, Alexandar, Celtic & Co and Plus Size. Published in August 2017. Are you delivering what your customers want? – a whitepaper exploring how retailers are doing in delivery and featuring case studies from the likes of New Look, Schuh, Craft Clubs, Mothercare, Lovehats, Orvis and De’longhi Group. Published in April 2017. Fulfiment at the heart of changing retail – a whitepaper looking at the role of warehouse management systems in retail and with interviews from The Cotswold Company, Posh Totty Desigs, Vision Direct, Simplehuman and Scott and Co. Published in April 2017. IRDigitalInnovation.Oct2015 – research report looking at how and why retailers are innovating featuring case studies from the likes of Boots, Shoes of Prey, Shop Direct and Schuh. IRCRO.Mar2015 – Report on Conversion Rate Optimisation looking at how retailers are maximising conversion and featuring interviews with retailers that include Majestic Wine, Benson for Beds and Walls and Floors. IRinternational.August2014 – Looking at international expansion trends in 2014 and featuring interviews with the likes of Weird Fish, Joseph Joseph and Achica.